One of the most important things that made us successful at Huffington Post was the ability to rapidly iterate through front-end changes. The success of your website can lie in a number of factors, such as a change in ad configurations, the placement of a newsletter sign-up form, a Facebook share, how well your infinite scroll works, and the order of your stories in feeds and related posts. All of these details add up quickly, and most media companies live with a horribly daunting backlog shackled to a small team of overworked developers who find themselves a week further behind every day. When we set out to build RebelMouse, solving this in a really beautiful, next-generation way was a core part of our mission. It wasn't an easy problem to solve. That's why I'm so delighted about how our solution makes it simple for even non-coders to create A/B tests to get feedback from stakeholders. From there, we test a percentage of traffic and collect data on bounce rates, share rates, time on site, and total page views. The information is returned automatically with every test run. This process would have been a dream for us to have at HuffPost. But back then, we had to hack together views of data that were incomplete and cost us dev cycles. I'm so proud that even small companies can now have access to an environment that is completely state of the art, and helps you keep up with changes even in a world where history is accelerating and the changes come faster every day. 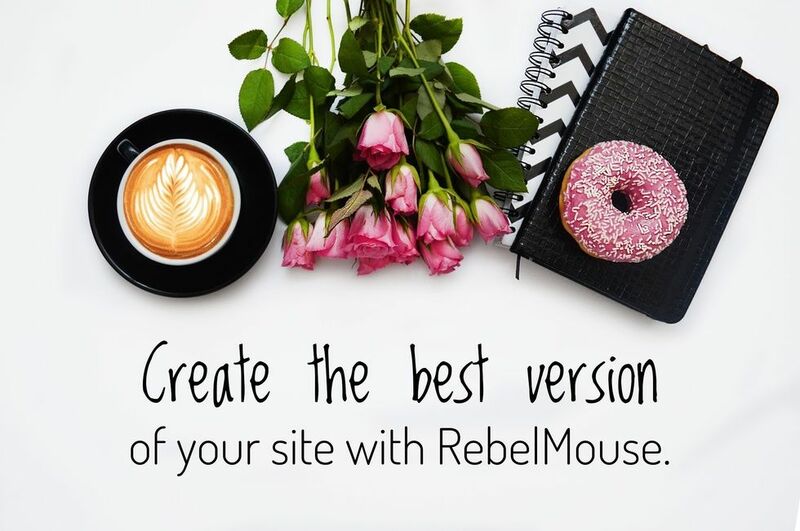 Using the RebelMouse CMS, you can stage and A/B test different media layouts to figure out how to truly captivate readers and bring in repeat visitors. Everything inside RebelMouse is component based, so you can assemble pages like Lego blocks. Each component is simple to style, so you can have gorgeous pages that pop, are clean, and reflect your aesthetic. Content is meta tagged through multiple rules that make it simple to decide how you want to highlight your video content, add sponsored or native posts, include outside widgets where you need them, completely control your ad stack, and do custom layouts. You can create multiple post layouts to test performance or customize the layout for a specific channel. They can be used to stage and test layout variations internally without bringing the changes live till you're ready. There's more that goes into a website's success than aesthetics. It has to be perfectly optimized for usability, or users will bounce away and find another site that suits their needs instead. That's the way it works in our fast-paced society. User experience is key. You have to make sure your site is easy to use, navigable, consistent, authentic, and stripped of all intrusive ads. Even as experts in our craft, it's hard to predict which minute changes will make visitors convert best. It's imperative to have a tool that lets you test real-time data and make better-informed decisions that will drive the success of your site. Being able to make data-driven updates and improvements will step up your content's engagement, and help grow your organic loyalty and reach long-term.